I’m not just getting bigger, I’m getting stronger too! My neck is now able to hold my head up more, and my arms and legs are growing longer and stronger. 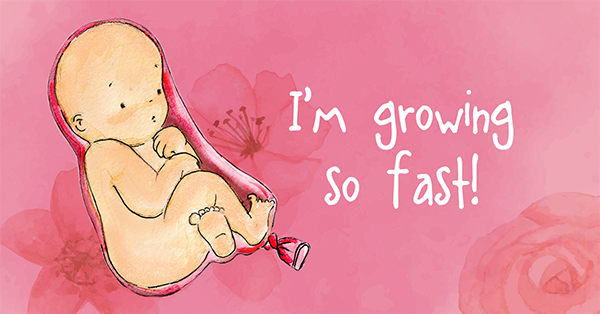 Very soon you’ll be able to feel me punch and kick… and early next week, you’ll find out whether I’m a boy or a girl! Are you excited, Mammy?